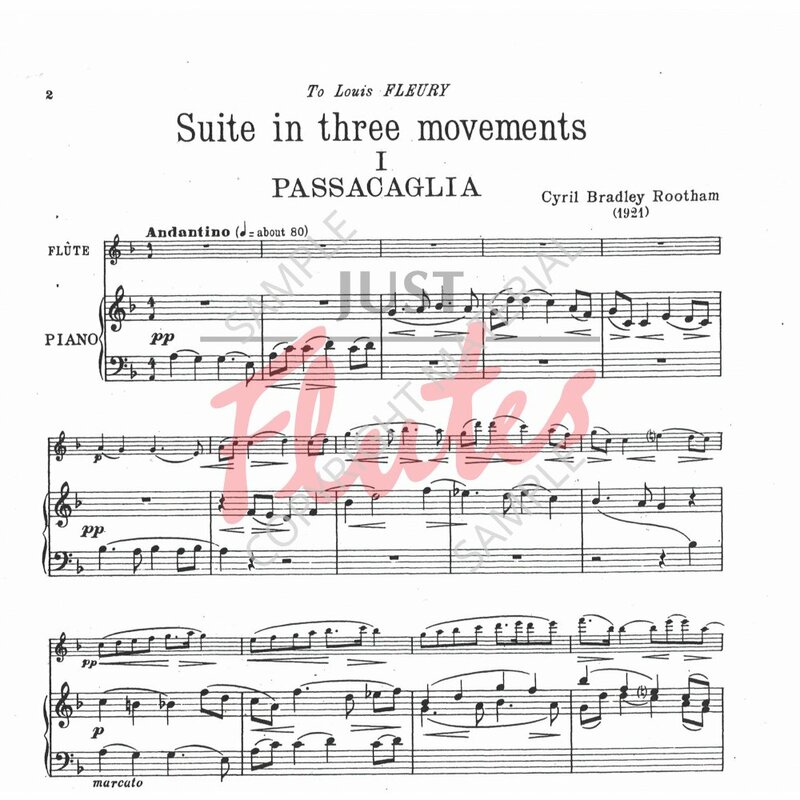 The Suite in Three Movements by Cyril Bradley Rootham was written in 1921 - one of the two works dedicated to Louis Fleury on the CD. I believe this is truly a masterpiece in miniature and without doubt one of my favourite works on the recording. Rootham was a highly regarded teacher - among his pupils were Arthur Bliss and Armstrong Gibbs (though he was for organ, not composition). Published by Chester it is not a long work at only nine minutes, but it is possessed of some truly wonderful writing for the flute and piano. The style is rather modal, shot through with hints of Holst and Vaughan Williams. Again the overall appearance may be of simplicity, but to capture the true essence one has to delve deeper. 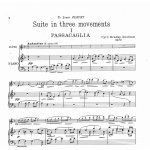 The opening Passacaglia is particularly haunting, and to bring out the varying textures of each iteration of the theme demands much concentration in balance between the instruments in their different registers. 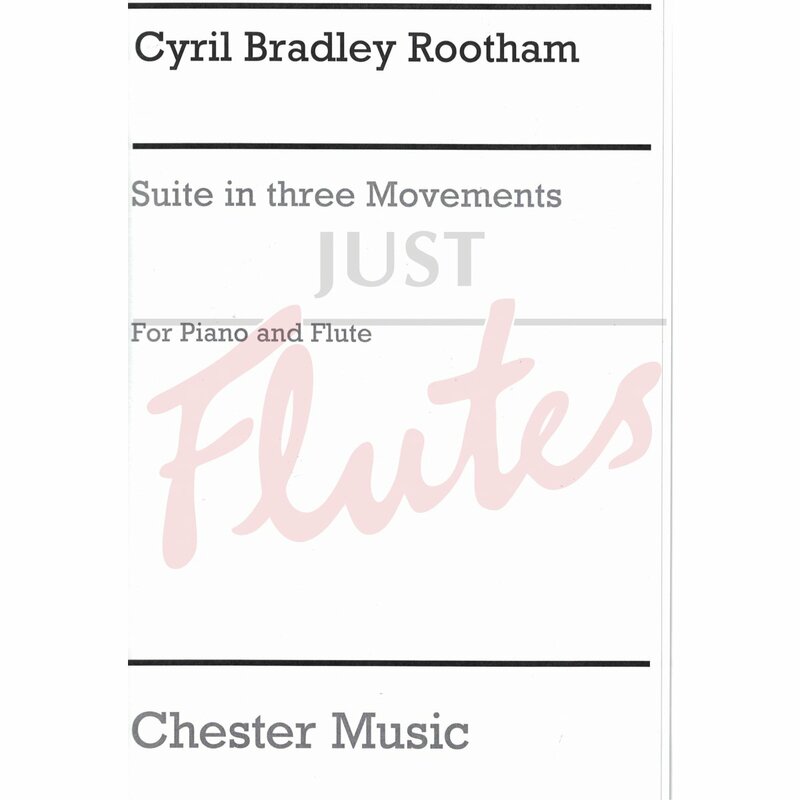 I was really taken by the last section in which Rootham splits the theme between flute and piano - it has the feeling of wisps of smoke blowing on the wind, and to seamlessly blend the line together takes real thought and refined duo playing. The Saraband is fantastically expressive with swooping lines from the flute and great interplay between the instruments. The Jig which follows is surprisingly complex - when one just looks at the flute part alone, it’s hard to see what the fuss is all about - but this illustrates exactly how important it is to analyse what’s going on underneath as well - the piano part has a minefield of details: changing harmony, different voicing of chords, subtle changes of direction that give the whole a really satisfying feeling in just about a 90-second movement! I really loved working on this piece.